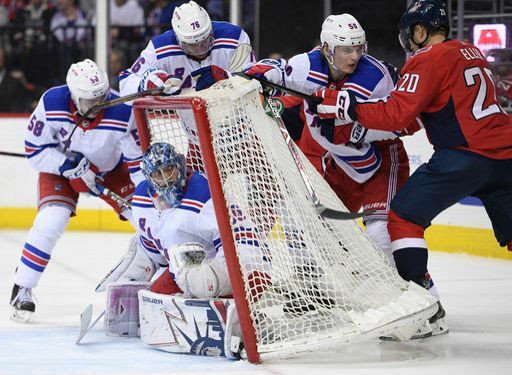 The Rangers are in Washington tonight to take on the defending champs, who have struggled mightily with defense to start the season. They’ve allowed 19 goals so far in just five games, but 13 of them were in two games (with another four in a third game). Suffice it to say, they are still trying to figure it out with new coach Todd Reirden at the helm. After winning the Cup, the Caps had a weird offseason. Add the Cup lag to the new coach, and you have a team that might actually be a little vulnerable right now. They are still a great team and will make the playoffs, but the Rangers might be able to steal two points tonight. Crazy Prediction: Ovechkin doesn’t score. ADA in the press box again…. Sit Staal, play Tony D, move Smith to LD as Tony’s partner, and tonight’s defense would be pretty decent I think. It’s comin soon. Quinn can’t ignore reality forever. Tony D deserves playing time. They’d be a more dynamic team with him in the lineup and Staal out, no question. Worth saying that the Rangers, a team widely regarded as on the shortlist for the lottery, come out of DC with a point less than 24 hours after winning in OT. Showed a lot tonight. Can’t take so many penalties vs the Caps. That was a killer. But good for them to battle the way they did. Terrific game for Pionk (and yes I know it was his guy who tapped in the rebound). Pionks or Zuccs? Both seemed out of place and not really covering anyone man on man…. King Sieveqvist ! King Sieveqvist! Was it a rebound or a pop out , it’s an issue a lot with that glove , it barely closes . Another good game though. Wasn’t expecting them to be in it with the back to back ! And yeah Pionk seemed to be everywhere in this game , and Kreider showed up !